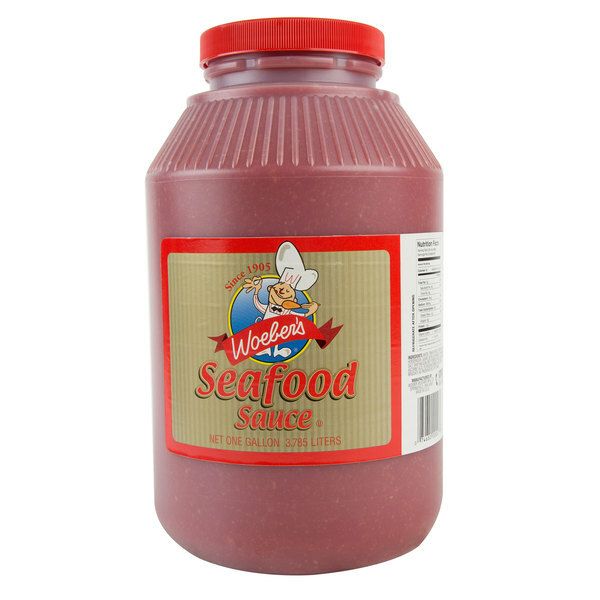 Deliciously tangy with bright spices and zesty, fresh ground horseradish, Woeber's 1 gallon seafood sauce is a must-have condiment for any grill or restaurant specializing in seafood. The tomato-based sauce is generously seasoned for incredible flavor and contrasts deliciously with the tastes of the sea; serve in a small dish with fried coconut shrimp, a dozen oysters, or local crab meat for a bold pop of spice. 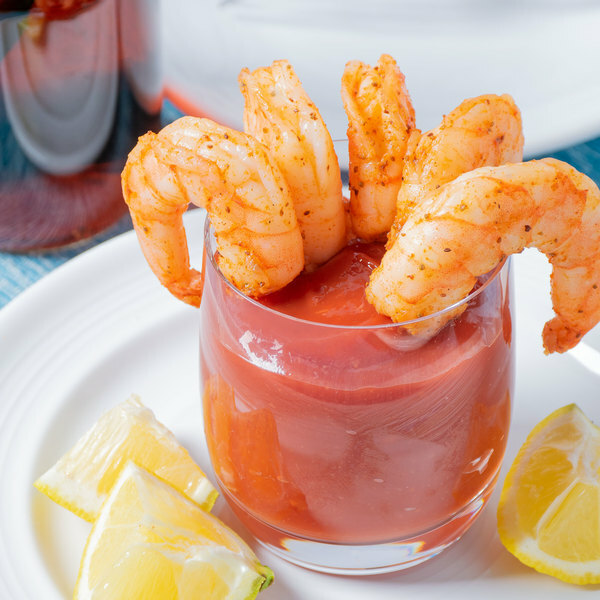 When paired with cooked and shelled shrimp, the sauce makes for the perfect, classic dish to add to your hors d'oeuvre menu. 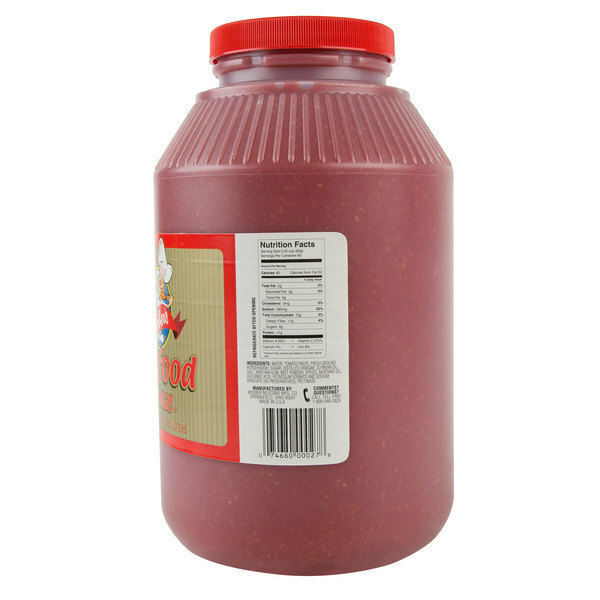 For more creative applications, add this seafood sauce to mayonnaise for a creamy salad dressing, or mix with soy sauce and mustard for a spicy salmon marinade. It's also great used in deviled eggs for added heat and brushed on top of a house-made meatloaf. Whether used with seafood or with a non-seafood dish, the sauce adds and amplifies flavor, making a dish brighter, spicier, and more tantalizing than ever! Dedicated to providing high-quality and delicious products, Woeber's began in 1905 when Carl Woeber emigrated from Germany to Springfield Ohio. He founded the company with a handful of family mustard recipes, eventually expanding into other delicious sauces and products. Multiple generations contributed to building the company and offering premium products for the food service industry, and today the fourth generation of family is involved in continuing that legacy. With Woeber's food products, you can make your good food taste even better. Exactly what I wanted. This is by far the best sauce I have ever tasted. Good on every kind of seafood as well as steaks and chops.